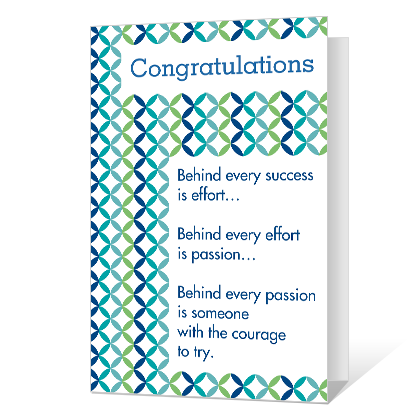 Cover Verse: Congratulations Behind every success is effort... Behind every effort is passion... Behind every passion is someone with the courage to try. Inside Verse: So happy that all the things you have worked so hard for and all the good things you deserve are coming true for you. You have a lot to be proud of.